Fauquier County Sheriff Bob Mosier was recently invited to speak to the Governor’s Advisory Commission on Opioids and Addiction. 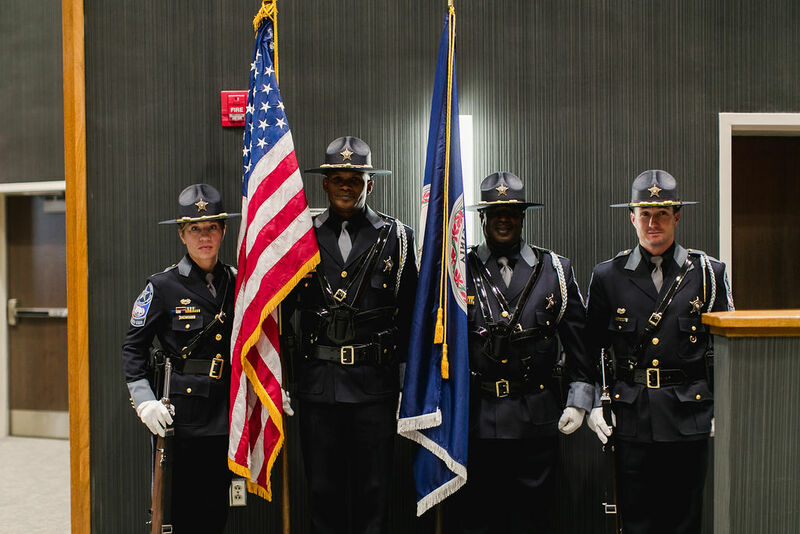 The 27 member Commission met in the Patrick Henry Building in Richmond on Friday morning, March 15, 2019. Sheriff Mosier spoke to the Commission about the Sheriff’s Office’s involvement with the Washington-Baltimore HIDTA taskforce (High Intensity Drug Trafficking Area) and presented ODMAP to the Commission. ODMAP is a HIDTA program that tracks opioid overdoses in near real time in our region and nationwide. Sheriff Mosier spoke about understanding data that could reveal overdose spikes and other trends and its use for contemporaneous investigations. 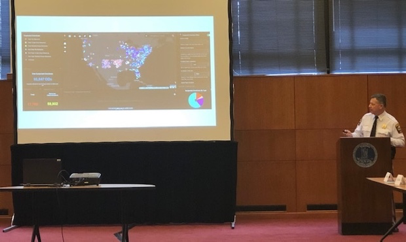 The Fauquier County Sheriff’s Office has been using ODMAP and working with HIDTA to combat the opioid epidemic in Fauquier and the surrounding region. This technology has many benefits to law enforcement, for us locally, it is a much needed aid in the investigation of opioid trafficking into Fauquier County. The Governor’s Advisory Commission on Opioids and Addiction was signed into effect in September 2018. The Commission meeting was chaired by The Honorable Brian Moran, Secretary of Public Safety and Homeland Security and The Honorable Dan Carey, MD, Secretary of Health and Human Resources. The Commission is made up of local officials including city and county officials, schools and law enforcement, health experts and family members affected by opioid addiction and a Virginia Senator and Delegate. Sheriff Mosier was assisted in his presentation by the Sheriff’s Office Crime Analyst, Kristi House and by Aliese Alter with Washington-Baltimore HIDTA.